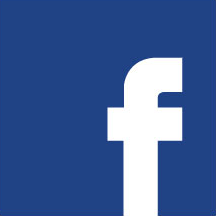 Be. Hold. 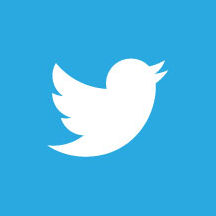 What Spoke the Hub has been attempting to do for almost forty years is be a resilient, vibrant, inclusive, living mosaic that holds a place, a space and opportunities for kids and adults, amateurs and professionals, to work, play, study, explore, and follow one’s bliss, side by side. For decades, Spoke the Hub has witnessed the beauty born out of these diverse interminglings, and the strength radiant through the bonding in this common effort, in both individuals and groups, all positively transformed in their own ways through the art-making process. On the second floor, BROOKLYN MUSIC FACTORY will continue to enrich family’s lives with their upbeat and heart-warming music program for children and adults. 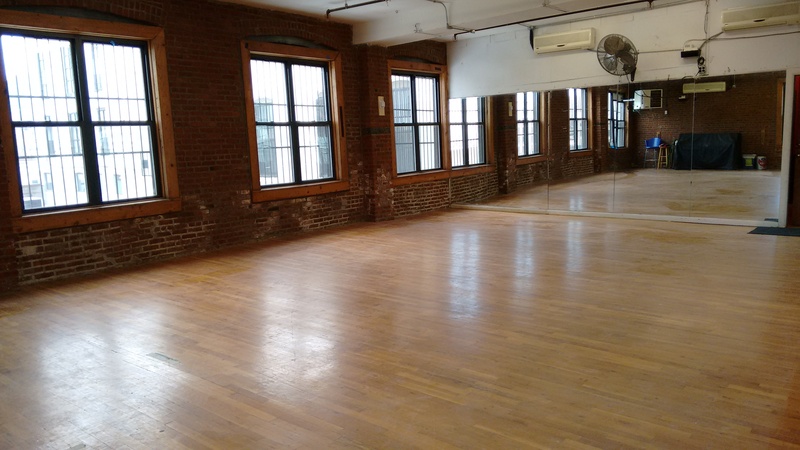 SPOKE THE HUB will continue to hold classes, rehearsals, performances and provide a “home” to dozens of other dancers, martial artists, yogis, actors,singers, playwrights, and performance groups. 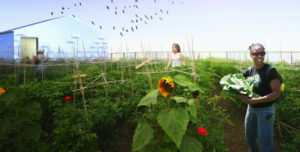 On the third floor, natural foods chef SUNG UNI LEE will also help design and coordinate our new healthy food program. 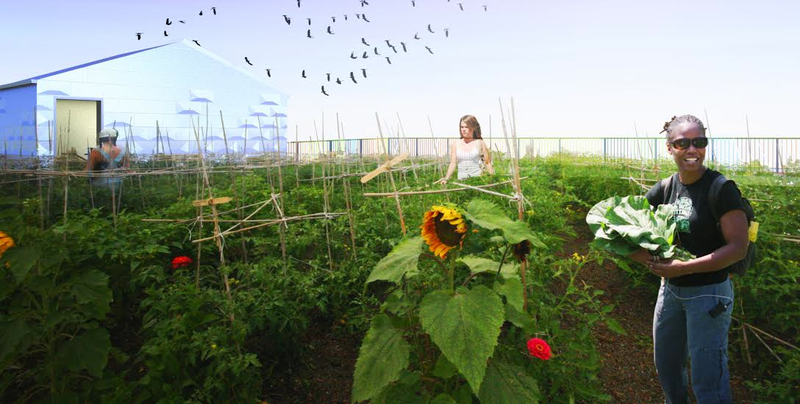 Sung will work in consort with yoga teacher, Ayurvedic practitioner and farmer CYNTHIA KING, who will help coordinate the new GOWANUS SKY FARM, our 4400-square-foot green roof, designed by GWEN SCHANTZ of the BROOKLYN GRANGE and funded by the D.E.P. The farm will be the final green icing atop our multi-arts layer cake. Here, Nature and the limitless sky of the imagination will ground and inspire much of our future work in the Gowanus. But to make this multi-level, multi-purpose, multi-arts construct a truly sustainable reality takes moolah, and lots of it. Over the last few years, Spoke the Hub has managed to scratch together almost $1.5 million of the financing needed to complete this ambitious project; however, we still need to raise an additional $400,000 to complete the theater and the new solar canopy that we believe can generate enough cheap, clean, sustainable energy to power the entire building, as well as provide shade and shelter for the urban farming programs and special events we hope to hold soon up on the roof. Can you help us reach the finish line this year by making a donation of whatever you can afford? With donations of $150 or more, we will also happily glaze your name into a whimsical tile created by Gowanus artist Claire Weissberg of CLAIREWARE POTTERY, to be imbedded in one on the freewheeling mosaics that will inevitably thread through the new Gowanus. Elise Long, Director/Founder, SPOKE THE HUB DANCING, Inc. 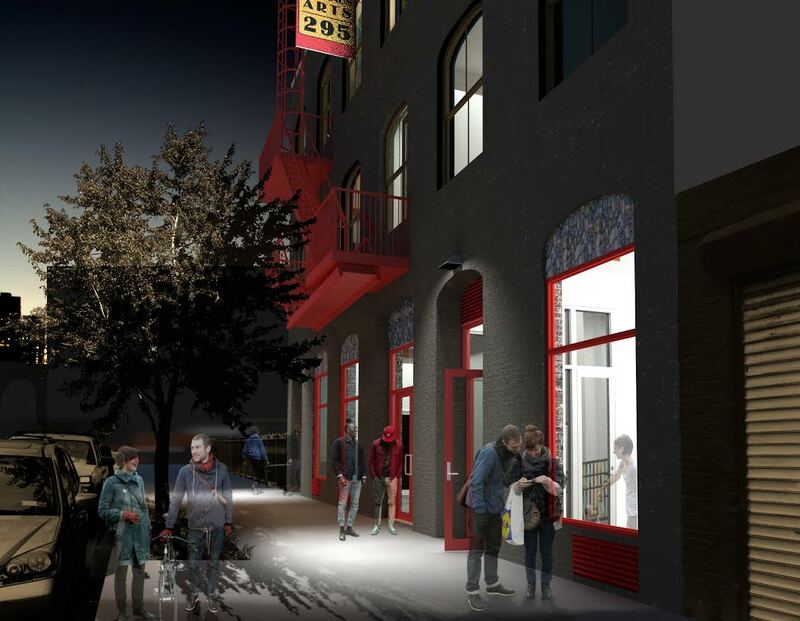 The GOWANUS ARTS DEVELOPMENT PROJECT is underway! 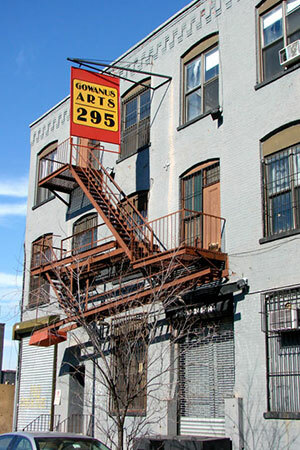 This new, million dollar plus “makeover” of the current Gowanus Arts building – a 15,000sf former 1880s soap factory which has served as home to STH and dozens of other artists of all stripes since 1985 – is a desperately needed facelift and re-structuring of this well loved community arts facility. 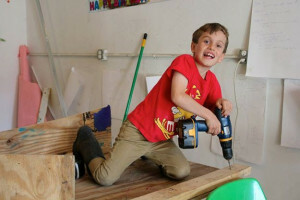 The “new” Gowanus hopes to serve as a model of sustainability for other small, grass roots community arts organizations to replicate, and to better meeting the needs of local artists and community residents into the next millennium. 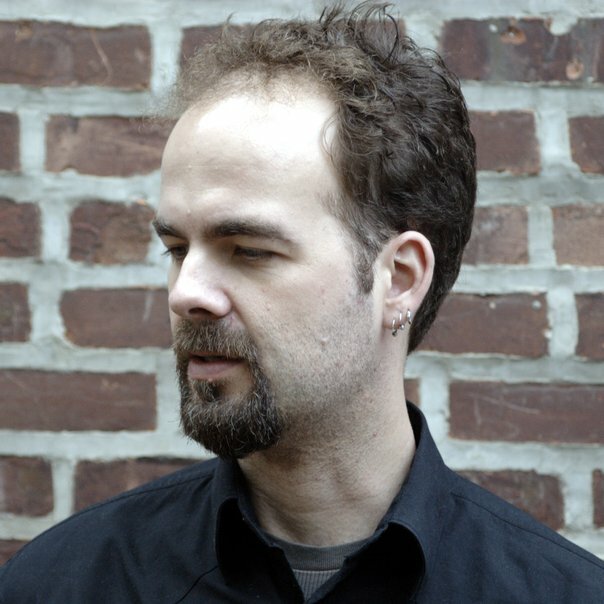 STH is happy to announce Severn Clay-Youman of Civic Architecture Workshop, an architect in recent decades but formerly a lighting designer for many downtown dance groups (including STH), has joined the GADP project. A recent article in Park Slope Stoop by Donny Levitt talks about the vision behind this partnership. WHEELHOUSE Theater and Event Space Plans include a new, expanded, ADA compliant theater/community event space with a new lobby and box office area. OPEN SOURCE GALLERY will also be expanding their S.T.E.A.M. 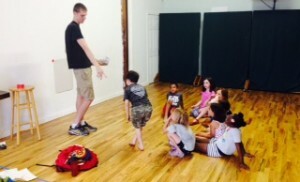 educational programs in addition to exhibiting local and international artists. 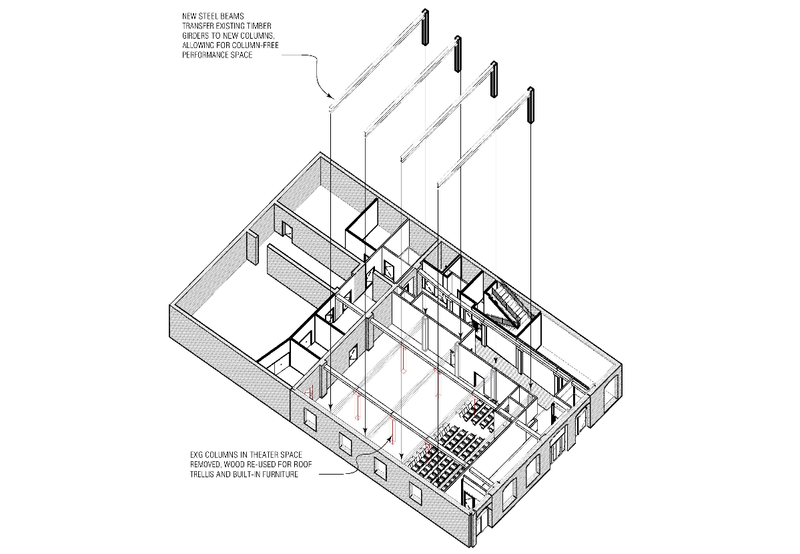 Current plans include two new gallery spaces – one for exhibits in a more traditional gallery setting, and another area for presenting less traditional work that will include installations, hanging work, time sensitive work, mixed media and interactive performance work and a studio art teaching space. Peter Karl Recording Studios will continue on the ground floor. 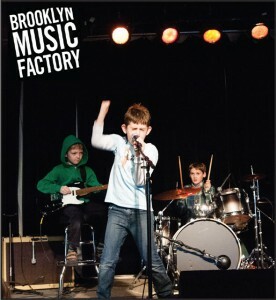 Brooklyn Music Factory’s newly expanded music school, practice rooms, and new music performance space will take over about 3,000sf of the 2nd floor (headed by Nate Shaw and Peira Moinester); artist Dale Williams and photographers Marc Goldberg and Jaime Bermudez Esteban will also continue working out of their 2nd floor studios. Additionally, a 1,600sf green roof and terrace will be added on the 2nd floor, accessible to all building tenants and guests. 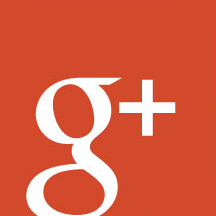 Read about BMF’s plans. 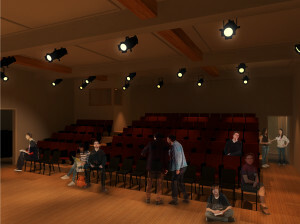 SPOKE THE HUB will continue our dance, theater, art and wellness programs in two expanded and improved studios on the third floor, plus a new lounge area outfitted with a community kitchen, headed by natural foods chef and teaching artist, Chef Sung Uni Li of Cooperative Kitchen. 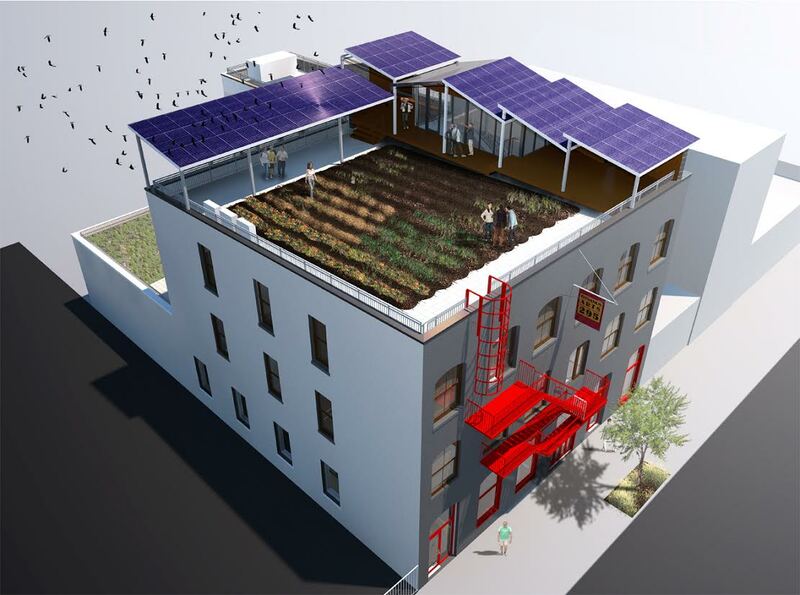 Thanks to Gwen Schantz at Brooklyn Grange and the DEP, STH will be creating a mini “farm” on the roof of our soon to be renovated Gowanus Arts center. We hope to use the farm to host some of our special cultural events and educational programs; to teach sustainable living practices and a permaculture philosophy; to offer healthy cooking and nutrition classes; to provide a green “oasis” for our students, parents and artists to relax in; and to grow fresh produce to use in our own catered events. A recent DNA article tells you all about it. 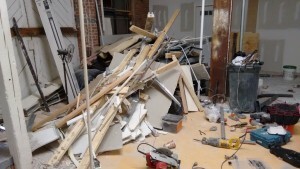 A huge THANK YOU goes out to the Mertz Gilmore Foundation for coming through with funding when we needed it most to outfit our “new” Spoke the Hub dance space on the ground floor of the Gowanus Arts building. 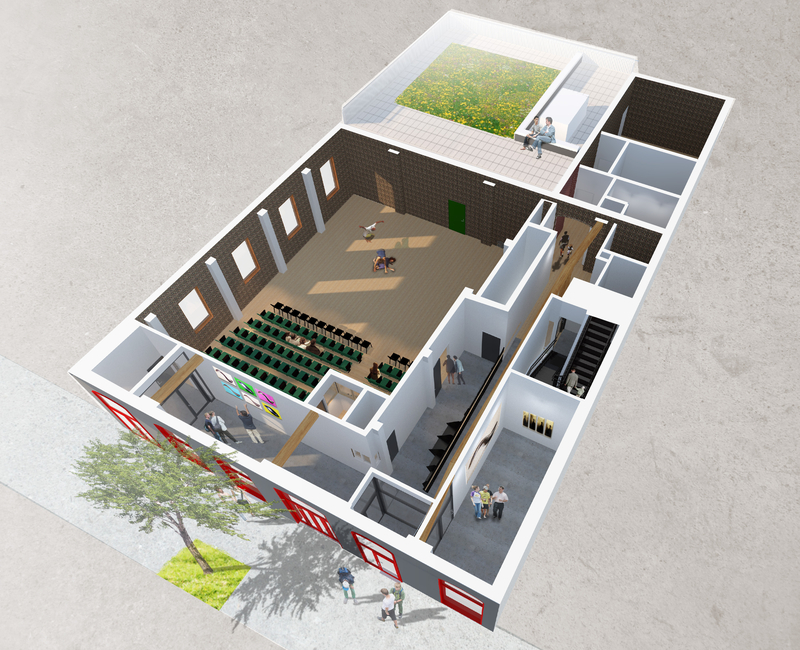 This studio will house all of STH classes and rehearsals during the first construction phase. Many thanks also go to Orlando Mendiola and his team for creating this new studio for us in June.